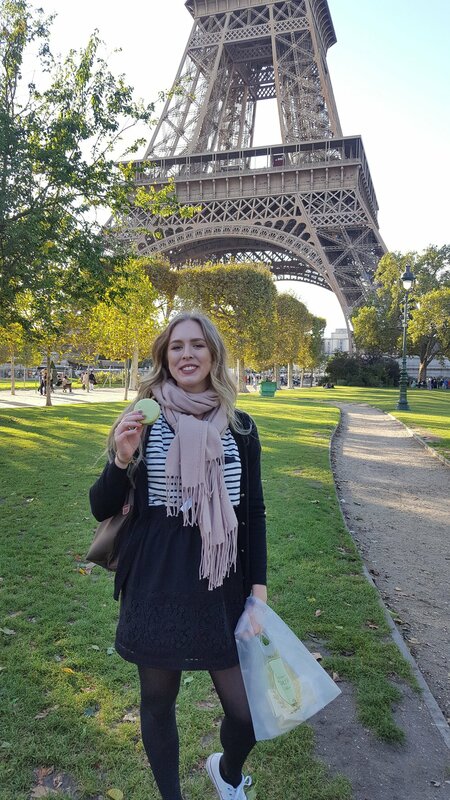 I am not on any sort of gluten-free diet, but my sister is. I made these for a mother's day potluck so that she could have dessert too. I am such a good sister, right? 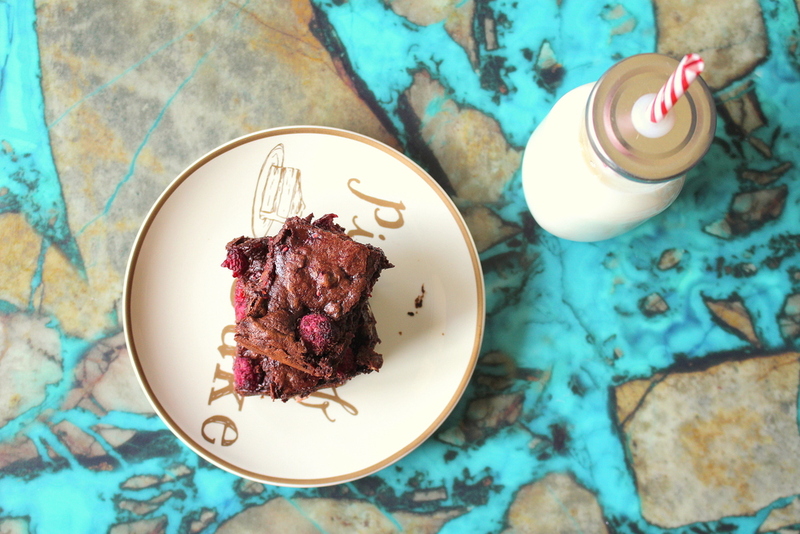 But they turned out so good and fudgy, you wouldn't know that they are gluten free. The spread. Chocolate melted with butter, and ready to be mixed with eggs and vanilla. Then the dry ingredients! Don't be like me and use a small bowl. 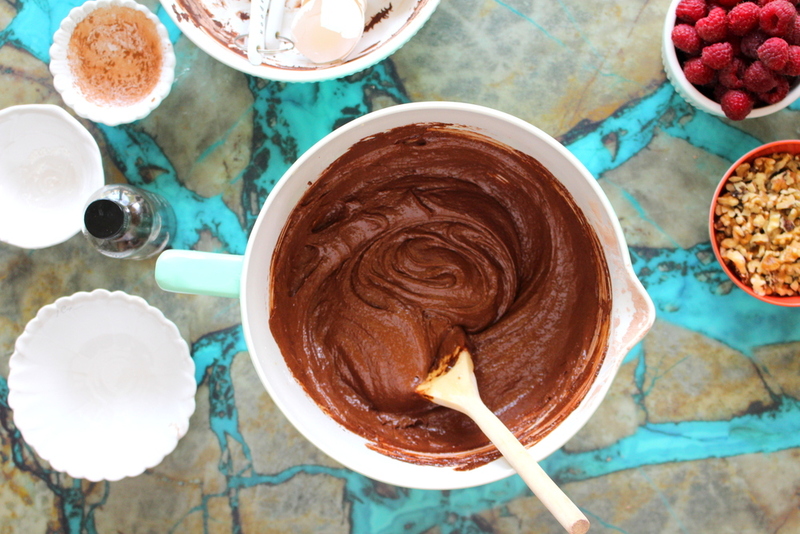 You get a good arm work out from mixing the batter. 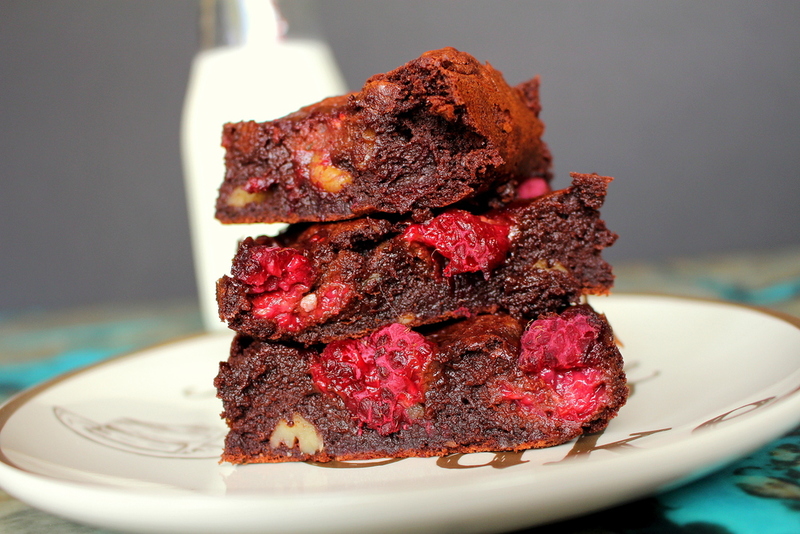 A layer of brownie batter, then raspberries, more batter and more raspberries on top! It's okay if some of the berries get a little smooshed while you are spreading the batter around. Mine did, and it still tasted great. Preheat your oven to 350 degrees F. Lightly butter and 8x8 inch baking pan, and line with parchment paper. Leave about a two inch over hang on each side. In a bowl, whisk together the corn starch, cocoa powder, cinnamon and salt. Set aside. 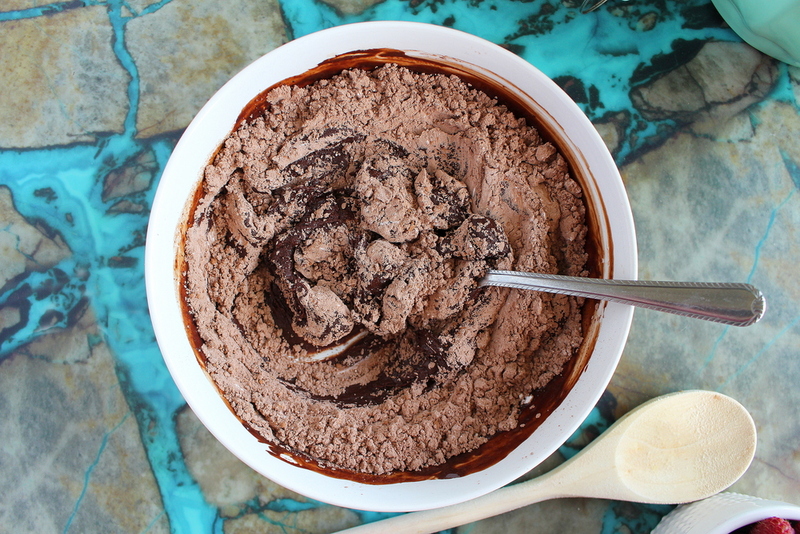 In a large microwave-safe bowl, microwave the chocolate and butter in 30 second increments. Stirring each time, until completely melted and smooth. Stir in the vanilla and sugar. Next, stir in the eggs one at a time. Add the corn starch mixture stirring vigorously until the mixture is smooth and begins to pull away from the sides of the bowl, roughly two minutes (arm work out right??). 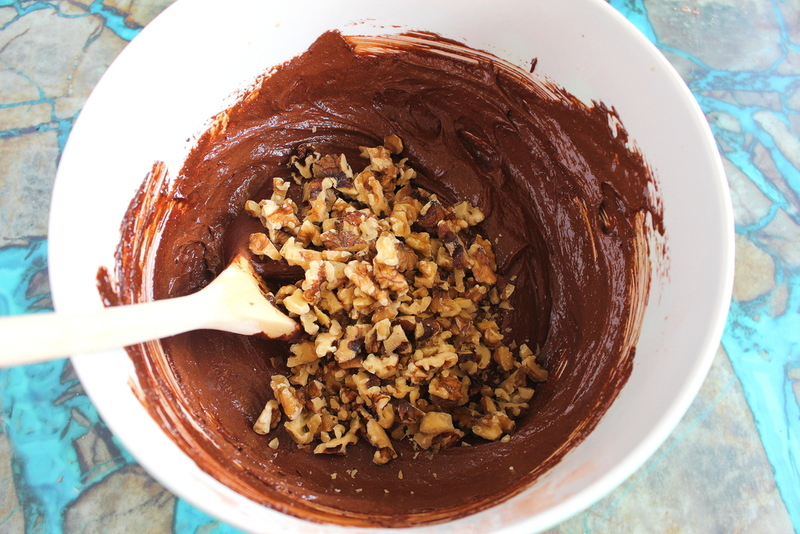 Stir in the walnuts. 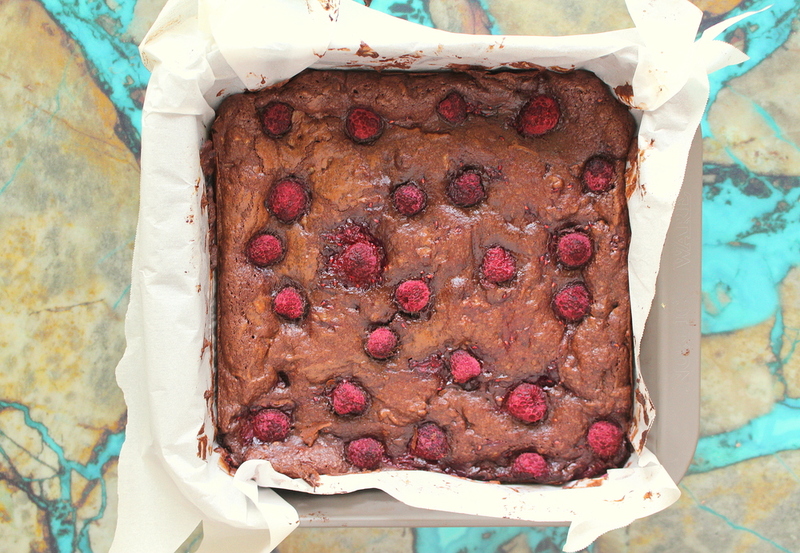 Pour half of the batter into the prepared pan, and layer half of the raspberries on top. Add the remaining batter, using a spatula to smooth out over the raspberries. Don't worry if some on them get a little smashed in the process. Layer the rest of the raspberries on top. Bake for 25-30 minutes, rotating half way through. You know it's done when a tooth pick inserted in the center comes out with a few crumbs. Let cool completely on a wire rack. Using the overhanging parchment paper, lift the brownies out of the pan. Cut into 16 squares, and enjoy!